The rich families of Benissa built their homes in the area close to the Iglesia-Fortaleza de San Pedro old church and along the calle Puríssima street, particularly during the 18th century. 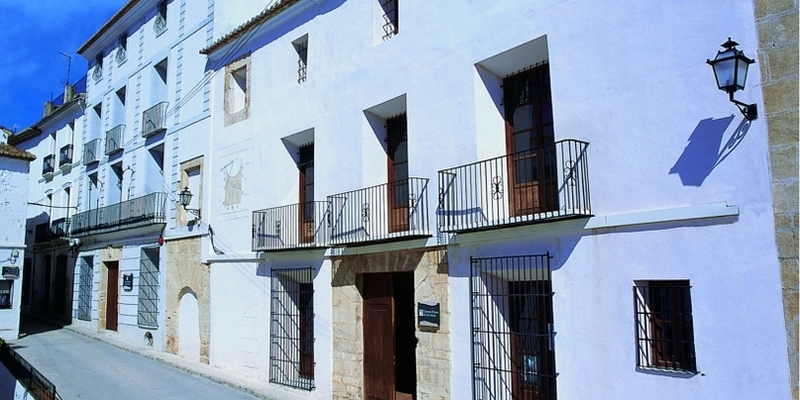 The most important of these houses are the Casa dels Andrés and the Casa de Pere Bigot, todayconverted into the Satellite of the University of Alicante for the Marina Alta area and with a wide selection of courses. The Casa dels Andrés was built between the end of the 18th century and beginning of the 19th century on one of the largest plots of the original town centre. It is Benissa's only urban stately home of the epoch and it is considered to be one of the best examples of Stately Home in the Marina region and at the same time a reference of civil architecture of the Valencia region of these centuries. As far as the Casa de Pere Bigot is concerned, although it is also a singular building, it is famous for the local celebrity that lived in it for many years. Pedro Ivars Sala, known as "Pere Bigot", was born in the rural area of Berdica in 1901. He emigrated to the United States of America in 1917. Until his death, he played the accordion, dressed in fancy dress and told stories of his adventures in America to all those who stopped to listen, especially children and teenagers. At the same time he collected all sorts of objects throughout the year that he used to decorate the front of the house for the fiestas, unique creations that were admired by public. In 1983 the Town Council gave his name to the narrow street located in front of the house in recognition of the affection that the town's folk felt for him.